Umrah Visa price for 2018-2019. With Hajj now complete the Saudi government usually takes a month to clean the city and prepare for the start of the Umrah season. The Umrah visa period is now open. Now I receive A LOT of emails asking about the rules regarding the Umrah visas for those who have been already once and whether they have to pay the 2000SAR extra fee. Update: It has been confirmed that the OLD system with a slight change will be back in place with immediate effect for the Umrah visas. This means that those who have been in the past 3 years will only pay the fee. The previous rule was that you will need to leave a gap of one Hijri year in order not to be charged. Now you will need a gap of TWO Hijri Years in order not the pay the 2000sar fee! For example: If you went for Umrah in Hijri year 1438 then you will need to go in 1441 to avoid the 2000Sar fee. If want to check your Hijri year calendar to see if you have left the required gap check here. Apparently, the Saudi government did a mistake and they have reversed it (and added an extra year). It is not clear if they will refund the money of those who have paid the fee already. If you want to check whether you are eligible to pay go to the Saudi Ministry page here and enter your details. If you would like help planning a DIY Umrah then check out our consulting services for maximising your savings without compromising quality here. For the past several years Saudi government hasn’t changed the price they charge for Umrah visas. Currently, as it stands the Umrah visa prices for 2018 will not be changing but continue to be around £100 or the equivalent in other currencies. If you are based in the UK you can receive a discount on this price using Prince Visa as MuslimTravelGirl’s readers when quoting the site receive 20% discount. For those asking for USA agents who can provide them with Umrah visa, you can use these guys here. I am not affiliated but many friends and readers have used them. There is no discount for using them. We don’t receive a cut from this but with thousands of people reading the site on advice for Umrah, it is a great sadaqa. I had a very interesting question asked by a student and reader of the MuslimTravelGirl.com site. It was about whether his 2-year-old daughter would pay the 2000SAR fee. As a small infant, I didn’t expect this to be the case but asked my travel agent to confirm. Even though the kid is two years old they will still have to pay the extra 2000SAR fee as her parents want to go this year as well. So do keep this in mind for those with children who are consdeirng going for Umrah. The Umrah visa fee plus the extra fee will have to be paid on each child regardless of their age. MuslimTravelGirl.com is the go-to website for people looking to plan and experience their own DIY ( Do-it-Yourself) Umrah thus removing the middleman and planning solo. It sounds scary especially when this is not a simple holiday, but trust me, there is a ton of info here and it’s much easier ( and cheaper) than you think. Especially now with the new Umrah visa fees becoming more permanent it is even more expensive and cheap options are required. 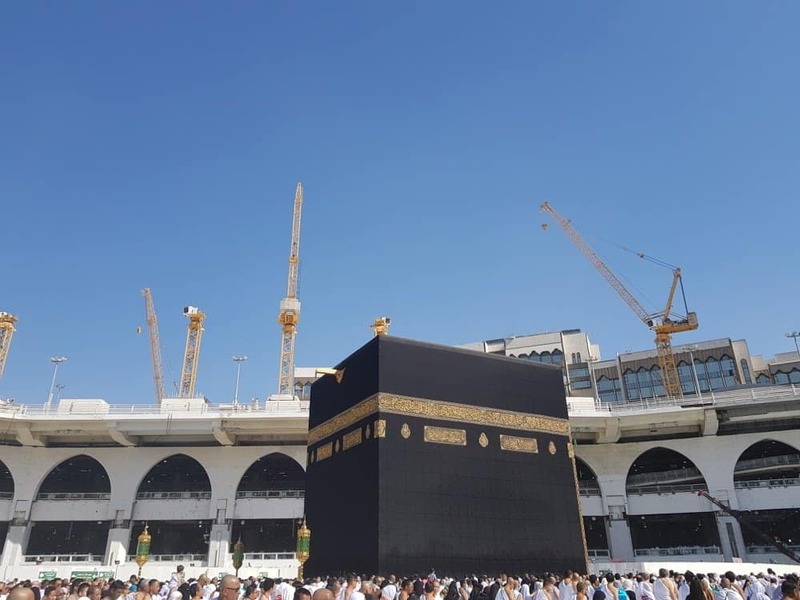 If you are looking to plan your own Umrah for cheaper from anywhere in the world then you might not to check the Umrah section. Make sure you read first the Ultimate Guide on How to Do a DIY Umrah here. Umrah visa and how to go about issuing your own check the guide here. For transportation from Makkah to Medina you can find our guide here. For cheap hotels, you can find some of our best options here. For the best hotels in Makkah or Medina check out the list here. For DIY Umrah packages with flights check out the ones we have made ready for you. We also have a new project coming up on DIY Umrah and how to save thousands every time you go for Umrah. This is for those who want more in-depth information and travel tips that can help them save extra. So if you want to find out more about this, make sure you sign up to receive the Umrah Transport Guide as I will email the info there. Salam sister I wish I knew about your page a week ago beforehand I booked and now I’m hearing lots of negative things about the travel agent . Do you happen to know about sams travel. I booked with it’s there sistegroup called Itimaar. Salams please read the article above. You will need to leave 2 Hijri years between. So for example, if you have been for umrah in Hijri 1440 you will need to go in Hijri 1443. If you are not sure of the Hijri years please visit the link in the post. 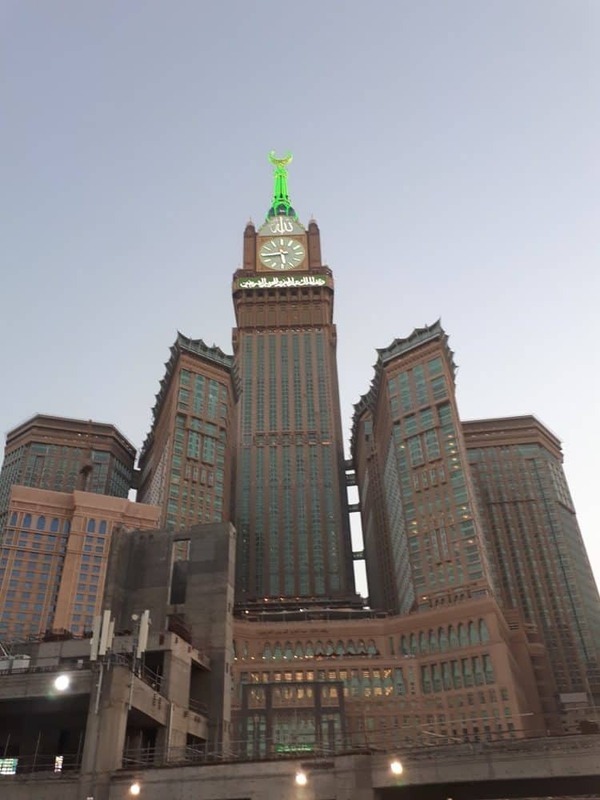 Salams, yes, a lot of my readers and friends in the US use Rendezvous Travel or they are called rendezvous travel hajj agency in Virginia and ansaar group agency in new york but they are the same. Hi im from Pakistan when the Umrah visa will strt from here afer haj 2108 kindly guide…. Please note that the Umrah season is open for EVERYWHERE in the world. So you can go for Umrah now. Is there any updates on the rule about paying 2000sar if you’ve been in any previous years? Is there any news that from now, 2000 SAR will be charged to everyone gng to umrah per year till lifetime, only first visit will be free n after that has to pay 2000 SAR whenever they perform Umrah. It is not confirmed by the Saudi government but it seems that everyone who has been for Umrah will have to pay 2000SAR extra. The agent confirmed it to me as it shows on their system. WILL BE APPLIED ON ME ?? Hi..im form pakistan i perform Umrah in 1439 hijri now would like to go for umrah..what visa fee charge on me?? I went to Saudi Arabia for five years, and now I want to go back for Umrah and what are the rules now? I am from Pakistan. My son age 28 year want to perform umrah first time. Can he go alone without accompanying any lady. I heard a man of age less than 40 year can get Umra visa from Saudi embassy except he serve as Mahram for a relative lady who want to perform Umrah. slms. so, if me and my brother go, that should be ok? if we do our own diy umrah package. So the new visa rule is that everyone who has been for Umrah before pays the fee. Before it was you can go free every 2 years. Sadly they changed it now. The people didn’t get charged because they changed their passport and the visa is tracked with a passport number hence they seemed like they went for the first time. means if we change our passport we will not have to pay 2000SAR? Sorry to trouble you again as per today’s new update above it means i wont be paying extra 2000 SAR for my 2nd visit for Umrah has my 1st Umrah was in May 2014 right ?? But when i check on Saudi Ministry link and filled my details it is asking me to pay additional fees…. I have read all your posts but no one has mentioned if they’ve been Hajj will the visa fee apply if you want to go ummrah. I went to perform Hajj in 2015 and now would like to perform ummrah 2018. I believe I don’t have to pay a visa fee as I went for hajj and not ummrah . Can you clarify this please or offer any advice in this matter. Jazakaallah. May Allah reward you for your efforts and right intentions of helping people. Salaam . My name is Salman age 27. Me along with my wife and sister are planning to go to Umrah in Oct 2018. My relatives lives in Jeddah and we want to live at their place.We will perform Umrah when we will land to Saudia and then go to our relative house instead of booking hotel. After that we will go to mecca from jeddah from their house daily .Kindly guide me as this is my first Umrah about transportation cost as only transportation cost i have to bear. Agents will not offer you an Umrah visa without a hotel booking. You will have to find someone who will do this. Transport is about 250SAR one way. Assalam u alaikum I’m form India i perform Umrah in 1438 hijri now would like to go for umrah..what visa fees charge on me?? Site and for the passport no. I selected it says 2k Riyal fee required, however, I checked using two other devices and they both say no visa fee required. I’ve done it again different devices and IP addresses and get different results for the same passport. It should be free for first time. Check again with your agent. I am working in dubai and my family staying karachi i want to perform umrah my wife and 7year old son can get visa from karachi if for me i apply here dubai or any suggestion coz i have not enough leaves to go Pakistan apply visa then go saudi. Hi I want to conform one thing that on 9th of January 2018 .I want to Saudia on family visit visa and came back on 18th March.now can I apply for ummarh visa this year in December or not and what are charges kindly share it. Hi, can you please let me know how to apply for the umrah tourist visa. There is a new regulation apparently that lets you travel to any part of Saudi Arabia after performing Umrah. Could you please verify if this info is correct, and if it , can you please let us know who can help us and how. This still hasn’t come in effect. sir i had performed umrah in from 21/safar/1439 to 15/Rabi ul akhir/1439 . I am constantly following your blog. I read that the Umrah Visa fee doesnt apply to people who have visited 2 years prior. Can you confirm if this is the case. Update: It has been confirmed that the OLD system will be back in place with immediate effect for the Umrah visas. This means that those who have been in the past 2 years will only pay the fee. Salam, great news that they’ve reverted back to the old system. I went in December 2016 (1438) and am going in December this year InshaAllah. There is a gap of 1 hijri year but when I put my passport number in the Saudi website it still says I will need to pay the 2000 riyal fee. Any ideas as to why this may be? My parents went for Umrah over 10 years ago and are planning to go again soon. I’ve inputted their passport details on the official Saudi Ministry website and it’s showing they don’t need to pay the extra SAR2000. Given that the above is the official website, is the result official or does the possibility still exist they will be asked to pay the extra fee when they land in Saudi as they have performed Umrah before? “There has to be a gap of 2 Hijri years between your Umrahs otherwise you have to pay extra. Doesn’t matter which Islamic month but has to be 2 years gap”. For example, if I performed Umrah in 1437, then gap of 1438/1439 and then I can do free in 1440. If anyone performed in 1438, then gap of 1439/1440 and can go again in 1441. Month does not matter. Hope it helps. Can you please tell me from where you confirmed this news (Now you will need a gap of TWO Hijri Years in order not the pay the 2000sar fee!) ? As I have checked on umrah e-service portal and it is still showing that I need to pay 2000 SAR whereas I have done last Umrah in 2009. Please clarify. how many days umra visa valid before i travel to saudi arabia? I WANT TO PERFORM UMRAH IN 15TH [ 15 DAYS ] NOVEMBER 2018. Asslamaikium just need assistance on Umrah visa. I performed Umrah on 14 April 2017 (Rajab 1438) and was planning to go again around 16 April 2019 (Shaban 1440) will I have to pay extra 2000 Saudi riyal visa fee? My tickets are already booked I just need to make sure if i’m Likely I am going to have to pay. There is going to be 6 people. Salams please read the article above. You will need to leave 2 Hijri years between. So for example, if you have been for umrah in Hijri 1438 you will need to go in Hijri 1441. If you are not sure of the Hijri years please visit the link in the post. I heard that UMRAH visa is now valid for 30 days. After completion of 14 days UMRAH , We can Visit to any city of Saudi Arabia like a Tourist. Salams there are rumours for years but there is nothing official that say this. Once the government announces it I will let you know. You will need to leave 2 Hijri years between. So for example, if you have been for umrah in Hijri 1439 you will need to go in Hijri 1442. If you are not sure of the Hijri years please visit the link in the post. But when i check on Saudi Ministry page and fill in my passport details on link it is asking me to pay additional fees…. Salams, your agent should be able to find an agent in Belgium to do the visa for you. I have a friend who did this and they did pay extra money though. I think about $300 extra. Unless you can wait for your RP then it might be easier and cheaper if not, your agent should be able to do this. Assalaamu alaikum ukhti, I am getting g mixed information on wether the meningitis vaccination is compulsory for Umrah or not. All of the adults travelling will have had it in shaa Allaah but not my 3 year old. Will this be a problem in obtaining the visa? Salams i don’t it will be an issue for the child. It is not required for Umrah visa but the immigration officer might ask you. I have never been asked although i have it. Can a unmarried 25year girl get the umrah visa without mehram? Sadly no. You will need a group but you will need to be older as usually over 30s can go. Do you know how long is the Umrah visa valid and does it expire? Once its issued do i have to be in Saudi Arabia by a certain time (15 days 30 days? )I have my flights booked on October 23rd 2018. But my travel agent keeps telling me. They are unable to apply for the visa and will apply according to my travel dates. How many days before do they normally apply? Getting a bit nervous as today is the 8th already. I am from Canada. I wanted to know. How long is the umrah visa valid after being issued? Do we need to be in Saudi Arabia within 15 days of the visa isuue date? And once in Saudi we can spend up to 30 days ? I am flying on October 23rd. But my travel agent keeps telling me they will apply soon. I am a bit nervous if the visa will be issued within the short time frame. Its already october 10th. Asalamoalikum,i studied some peoples questions regarding help,Alhamdulliah as sadaqa your call replies iş highly appreciated.i belong to Pakistan and now I am living in Great country Turkey with short term residence permit,show me easy way from Turkey to perform cheap cost ummah from here.thanks with lot of Duas. Check with an agent in Turkey to see if you residence is valid to issue visa from there instead of Pakistan. JazakAllah for your blogs. Can you please guide what are the new rules of performing Umrah on transit visa? What is latest update about umrah visa fees ? PLease read above this is the latest. I want to know that how much cost of Umra for 1 child under 2 years of age and 1 3 years ? Please read above a whole section on Umrah visa for children. It says there the fee! How much do Prince Visa charge for Umrah visa? excluding discount? Very hard to get cost as not stated anywhere. Prince visa offers it for £100 and with discount its £80 you can also call them to ask. Thank you sis for providing the prices. Where do i quote muslim travel girl to get a discount on cost? I dont see anywhere on form or online to mention this? You will need to call them to ask for the discount. Thanks.. Will call them, hope they provide the discount. Do i jusr say I got recommended by muslimTravelGirl or is there something specific I need to say? I have applied for an umra visa for me and my family from india. Hence i have already been there last year i have paid 2000 sar extra umra fee. But due to some health issues of my wife i have to cancel my travel plan unfortunately. I would like to know is it possible to get 2000 sar amount refund or can i use this amount if i apply umra visa ones again..
you cannot get your money back, but if your visa wasn’t activated you can probably use it. It depends on when you received it if it was close to travel then i doubt it. Me and my husband are InshaAllah going for Umrah in Jan 2019, my sister and her two daughters age 20 and 17 years also want to go with us. Can these young girls still need a mehram if mother is going with them. My three children aged 24, 22 and 19 ….Can they travel for umrah alone without adult from Pakistan? Salams you dont say the gender, if boys yes, if not then no. Where i can get official statement that says 2 years gap? If you know Saudi you know they don’t issue these, you can use the link above to check your passport on their website and see if you need to pay the visa. Or call an agent if you don’t believe the above. I would like to know if I can make plan to perform Umrah after 10.01.2019 have additional visa fees of SAR 2000 I have to pay? In additional if I want to avoid to pay SAR 2000 visa fees so please inform me which date I am eligible to go for Umrah? this will help for me then I can make plan. You should be able to find out fro the above post however you will need to go in the third year from your previous Umrah, so 2020. Then you won’t have to pay the fine. There are no rules as far as we have been informed. The tourist visa is not out yet and when it is from my agents have told me it will not include an Umrah! So I would not plan anything like this. Currently you can only go for Umrah for 14 days. You need to go into the third year in order not to pay. So if you went 1440 you have to go in 1443. What’s the procedure to apply for an Umrah visa from Netherlands? And what the paper work is required to apply for visa? I performed umrah in Nov 2017 and now I intend to perform Umrah. Can I go to Umrah Nov-Dec 2019. I want to know if i perform umra this feb2019 . After that i renew my passport again so do i have to pay 2000riyals for extra visa fee for januray 2020! We will find out next year if Saudi will change the rules. They change every year. Yes if you have not met the time required. The only city you can visit on Umrah visa in Jeddah. Saudi will be doing a tourist visa for Umrah holders later in the years. I performed hijja in 2017. I now want to perform umrah this yr. do I pay the charge? The agent says must pay SAR 2000. My question is, is the extra fee really paid to the saudi government? Does the agent have to provide proof of payment? Yes it is a fee they pay. My parents performed hajj in 2017 and are thinking of going for umrah may 2019. Does the 2000sar fees apply for those who went on a hajj visa within the last 3 years and not umrah visa? My question is not related to your post however I was unsure where I can ask further questions. 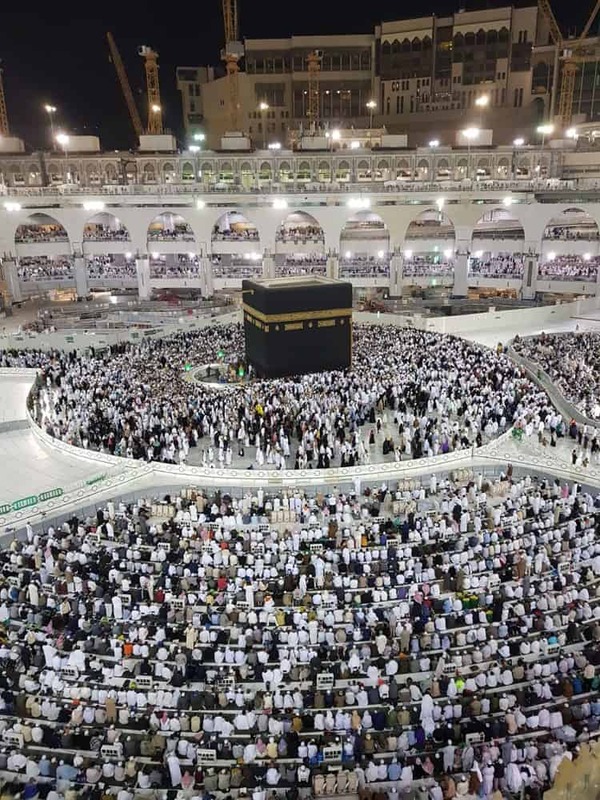 I would like to know when the first umrah visas open after the hajj period this year, 2019? Umrah opens about 1,5 or 2 months after Hajj finishes. There is no specific date, they just start issuing visas. I m a pakistani and my wife is from india …. as she applied for nationality … currently living wid me in pakistan … we wana perform umrah …. izz dat possible … and wat is the way. .. to do so …. If she has a residency permit for Pakistan she can apply from there with you. If not please refer to a post above, you have to find an agent to send her passport to India to get an Umrah visa. 1. Can I apply for visa in Canada and my wife apply in Oman and we can travel together? 2. She will need a Mahram to accompany her for Umrah, which I will be there, but does a Mahram need to apply for a visa at the same time along with my wife? 3. I would like to plan my own trip (flights, hotel etc), what would be the easiest approach considering my existing situation. 1. You should ask your agent in Oman and Canada if they will be able to do this. I know of couples in the same country that had to send the spouse passport away to their home country for Umrah visa so potentially this is possible. Just find an agent who will do it. 2. Best advice, go to Oman and fly together from there so she enters with you. 3. If you read under DIY Umrah tap you will find everything you need, also this post an Ultimate guide to DIY Umrah has everything. as i saw in news. that now we can visit other cities when visiting on 30days umrah visa. is it correct any official web site notification for this. I have done umarah in 5 rabi ul awal 1438 .I want to perform umarah in 1 safar 1441 . Is it posible. please read the above article. it answers the question. if we have umrah visa and uae visit visa so we can go sudia arabia by road for umrah . and we are from pakistan but in Oman our ID card mention as a civil Engineer visa . You will be better to ask an agent from Oman. Can a women under 45 go for hajj with her sister and brother in law? He is not your mahram so I am not sure, you better call an agent and ask.